Vallarta Supermarkets is a supermarket chain based in California. The company has greatly expanded since its first opening and has 27 stores across California. The chain has been of great service to the increasing Latino population in California. The items sold are not usually in American supermarkets that are more Anglo-oriented. Enrique Gonzales Sr. founded Vallarta Supermarkets in 1985. Gonzales’ four brothers, his nephew and son later joined in the business. The first Vallarta Supermarket was opened in Van Nuys, Ca. in a thousand-square foot market. At that time, the company had five employees and its weekly sales ranged from 3,500 to 5,000 dollars. Other Gonzalez brothers started to get involved in the business with the opening of a second store in Van Nuys. 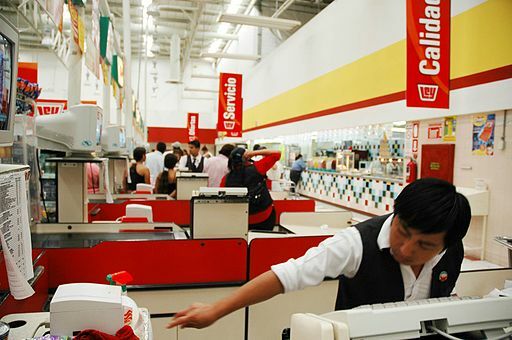 The business journey of Vallarta Supermarkets was geared towards building a reputation of excellence and service. The key towards business success was commitment to customer service and provision of premium quality products to customers. The Gonzales’ focused on providing their services to the Hispanic population. This is because such a niche was somehow neglected by big supermarket chain stores. A wide range of Latin products and foods were offered by Vallarta Supermarkets. Some of the products that the store offered include spices, sweet breads baked daily, ready to eat hot foods, Latin style meat such as lomo de res, diesmillo and ranchera, fresh produce and many more products. I live in Fresno CA and just return from the vallarta market on cedar & Dakota to have some taco asada’s and buy a few items. From one Chicano to another, talking to Mr. Gonzales Sr your doing a great thing in this market. The food is delicious, the store is clean and in order but what I always check for is Customer service. And let me commend you this store’s Customer service is Great! Every where I turned some was asking me if they could help me, and the cashier and bagger ladies were very polite. Its nice to see Mexican establishments that I visit so put together the right way. I commend you again viva mexicanos!